The 13th edition of the Auto Expo, jointly organized by ACMA,CII, and SIAM, accredited by OICA is being held from 4-7 February, 2016- Components Show at Pragati Maidan and 5-9 February, 2016 – Motor show at India Expo mart, Greater Noida respectively. Auto Expo – The Component show 2016. Spread over 80,000 sq mts in 18 halls, this year the expo will see participation from 1,500 companies (50 new entrants) including 900 Indian companies and 600 International exhibitors. Seven exclusive International pavilions from China, Canada, Germany, Japan, Taiwan ( ROC), South Korea and the U.K. will display a array of components Overseas buying delegations expected from around 15 countries. Dedicated pavilions for bearings and garage equipment and live demonstrations of advance technologies will be showcased. With a view to encourage an innovation driven mind- set amongst the youth, “ Passion for innovation” – a contest for Engineering students, is also being organized on the sidelines of the event. Continuing the endeavor to share knowledge and build awareness, ACMA’s campaign against counterfeit products, the Asli Naqli show, and other focused conferences will be organised in the upcoming edition of the Expo. 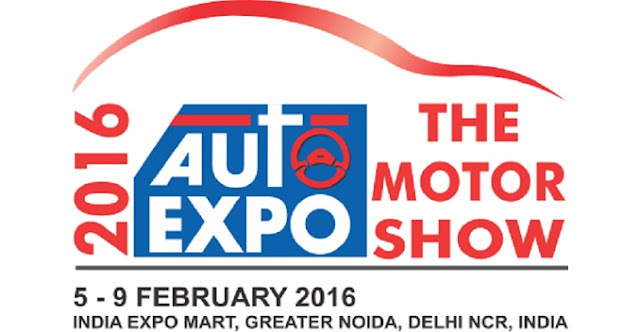 Auto Expo - The Motor Show 2016. The gross indoor exhibition space at the forth coming show has increased to 73,000 sq mts. from the previous edition of 69,000 sq mts. The venue has witnessed enormous construction in the form of six large halls with an additional carpet area of 37240 sqms complete with air conditioning and adequate power supply cabling. The venue previously had only 8 permanent halls measuring 27,648 sq mts, as a result in the 2014 edition the remaining display was curated in temporary hangers measuring 32,400 sq mts. We hope that this edition of Auto Expo will be the harbinger of a strong & sustained revival in the fortunes of the auto industry. Mr Dasari added. Describing it as a ‘unique and special show’, Mr Chandrajit Banerjee, Director General CII, elaborated, Auto Expo has seen a tenfold growth from 152 exhibitors to 1580 exhibitors in 2016, which is phenomenal over a period of 30 years. The show has been growing from strength to strength. Mr Chandrajit Banerjee further observed that Auto Expo 2016 would further witness unveiling of 80 new vehicles. Mr Deep Kapuria, Chairman Trade Fair Council, CII stressed on R & D and Innovation as a growth driver for the automotive sector, Auto Expo would pave way for more collaborative approach between the various elements of the value chain – the component manufacturers, OEMs, Machine Tool Suppliers, and the raw material industry. If we have to grow from being locally competitive to be globally competitive, our relationship must graduate from being transactional to a symbiotic one, He added.